Manchester United appear to have been handed a major injury boost with Phil Jones confident he’ll be fit for this weekend’s visit of Newcastle United. Jones was forced off midway through the first half of England’s 0-0 friendly draw with Germany at Wembley on Friday night after being replaced by Joe Gomez in the 25th minute. England boss Gareth Southgate suggested to reporters after the game that Jones had aggravated a thigh injury that had hampered him last month. A Man Utd roundup from the Huddersfield Town game on October 21st shows us the 25-year-old was substituted during the 2-1 defeat at the John Smith’s Stadium after suffering a thigh problem. 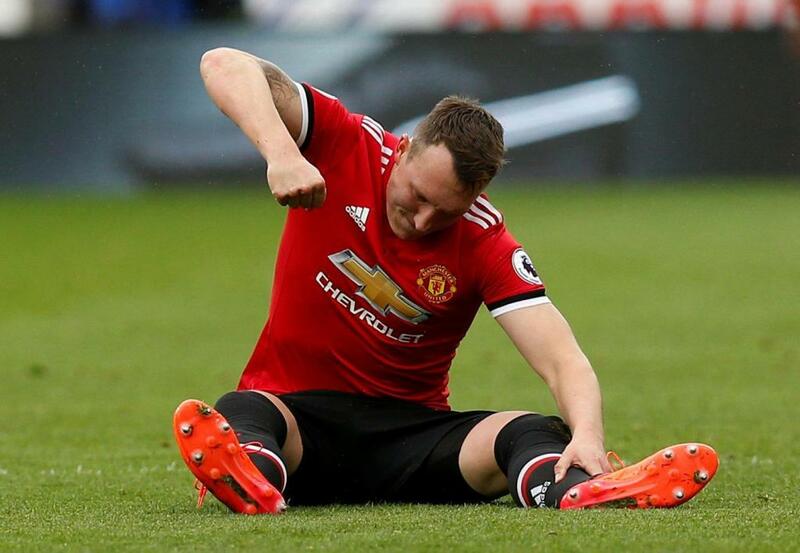 Jones appeared to make a swift recovery after playing the full ninety minutes during the 1-0 victory over Tottenham Hotspur at Old Trafford the following weekend. He was then omitted from the squad that beat Benfica 2-0 in the Champions League group stages on October 31st before returning to the starting eleven against Chelsea earlier this month. Jones was withdrawn midway through the second half during the defeat at Stamford Bridge but was still allowed to link-up with the England squad ahead of their friendlies during the international break. After being forced off against Germany on Friday night, Jones was sent back to Manchester and it looked like he could be set for another spell on the sidelines after aggravating his old injury. However, the Guardian claim that after being further assessed by United’s medical team at Carrington yesterday, the centre-back is believed to be confident he’ll be fit to face Newcastle on Saturday evening. The news will come as a welcome relief to Mourinho as Jones has been one of our most consistent performers this season and he’s been a key part of our defensive unit having started all 11 of our Premier League games so far. If Jones is passed fit to face the Magpies this weekend then I expect he’ll start alongside Eric Bailly at the back with Chris Smalling and Victor Lindelof fighting for a place on the bench. It’s vital we get back to winning ways on Saturday as the defeat at Chelsea before the international break has left us sitting eight points adrift of leaders Manchester City. Obviously Jones’s fitness will be a boost but Mourinho is still sweating over Paul Pogba, Marcos Rojo, Michael Carrick and Zlatan Ibrahimovic as the quartet are still working their way back from long-term injuries. Pogba and Rojo have a chance of returning to the squad this weekend but a place among the substitutes is probably the best they can hope for.